Congratulations to all the winners of our Student Survey Competition! Niamh Vianney Muldoon is an International Woman! Born, raised and living in Dublin, Niamh leads the DocuSign Global Business Security Enablement Team. Her team’s role is all about Information Security enablement seeing DocuSign employees, customers and partners around the globe to make informed risk-based decisions on how to protect Critical Information Assets and Systems. She speaks to DocuSign Customers and Partners daily providing them with assurance on DocuSign Trust promise. Niamh put ‘Women in Ireland’ on the global international map for Information Security back in 2004 when she qualified as Ireland’s youngest CISSP -Certified Information Systems Security Professional. She was the only Irish Woman nominated in the first every Women in Technology awards in Europe in 2015 and was instrumental with her lobbying to bring the Women in Technology awards to Ireland in 2018 where DocuSign Sponsored the first ever Irish “Security Champion Award” presented by Niamh. Niamh is very proud to be Irish, while operating globally she is constantly thinking and acting locally within the Irish and EU communities. Niamh is frequently asked by women at various international conferences how best to start and/or advance their careers in Information Security. What has been the secret to her success? She quickly clarifies what success means to her – “Being able to close my eyes at night knowing I did my best that day in a professional and personal life. Success and ambition are different. I enjoy my daily success and understand how it is linked my ambition and career goal”. Raised by her parents equally to her 4 brothers and given the same opportunities from both an education and sporting perspective, the healthy sibling rivalry has always been there driving her ambition. Niamh shares that her mother once told her that she was sometimes even harder on her as she knew it would stand to her in life as a female. Niamh confesses while she is very ambitious and knows exactly where she wants her career to go, she is very much focused on the present and takes every day as it comes. For Niamh, flexibility is key to reaching her goal, something she attributes to parenthood and putting her son Crean first while balance life and work priorities. Niamh “keeps her finger on the pulse” as a Global Information Security Leader, and as well as her commitment to providing her DocuSign team with the opportunity to do “best work of their career at DocuSign”. For International Woman’s Day Niamh has shared with us her top 5 tips on becoming a Global Information Security Thought Leader. I work with (ISC)2 sitting on the global scholarship review panel and board. I also work with individuals providing mentorship and coaching. A common thread is lack of understanding of the various career roles within Information Security which can subsequently lead to misalignment when following security passion to make their career happen. Take time to understand the domains and disciplines within Information Security and Cyber security. How they relate to various roles and competencies required to operate in the role. Generally speaking there are 3 main disciplines within the Information Security discipline all based on risk assessment, technical security based on engineering and regulatory compliance governance, covering controls and control frameworks. Examples of roles include but are not limited to: Security Engineer, Security Risk Analyst, Security Network Engineer, Security Operations Analyst, Security Awareness Analyst and/or Security Program Manager. Research and speak to professionals that are operating within these disciplines and roles within. Ask them to identify what they believe are core competencies and skillset at security, business and professional level that it takes to be successful in this role. Shortlist 3-5 roles that you may be interested in pursuing”. Find a mentor, someone you trust to provide you with positive, objective and constructive feedback. Present to them your Information Security Career role options 3-5 and rationalize why you think your “security career passion will happen in this role”. Work with your mentor to define your career path in this role but also define and develop your “plan B” option. What you will tend to find is that the competencies and skill set will be similar for your first 2 career options. Your selected mentor should be someone available to meet you regularly (quarterly). This is essential when starting your career or developing a progress career plan you need to keep focus on it. Your mentor will help keep you focused. Set your career goal but be flexible in your approach. Balance your career goal setting with educational and hands-on delivery experiences. Ensure your career goals focus on development of Technical, Business and Professional competencies. Remember the industry is constantly growing and opportunities are always presenting themselves so a comprehensive development plan will enable you and position you well to go for opportunities as they arrive. Remember they are a variety of ways to reach your career goal including but not limited to full and part-time educational options along with on the job training via apprenticeship programs. There is no one career path model to fit all and remember the only one you are in competition to reach your career goal is yourself! You are your own council. Your mentor is there to support you. Niamh believes the FIT Cybersecurity Tech Apprenticeship is a great program to reach your career goal in a stable and steady fashion. The FIT Cybersecurity Apprenticeship is the third in a series that have been developed by FIT and delivered in partnership with Educating and Training Boards. The initial two in software development and network engineering are already up and running in Dublin and Cork and expanding rapidly. For more information on this innovative programme see here. The Information Security industry is still small across the globe. There are many global not-for- profit organizations and forums such as (ISC)2, OWASP, GDS CISO Summits and EWF to name a few that provide great knowledge share, development and networking opportunities for those in the profession. It is through this network that international and global opportunities to collaborate together arise. Global collaboration is critical to success of the industry to fight against cybercrime. I recommend that every Information Security professional should attend some type of industry networking event, at least quarterly. Working internationally may mean that you are not physically based in the same office as your key stakeholder communities and senior leadership teams. Different time-zones also present additional challenges. To ensure your leadership voice is heard in a consistent and constant fashion, I recommend establishing an ambassador community throughout your global operating environment to support you and your team’s overall function. I have defined and implemented different types of ambassador’s networks in the 4 different global organizations in which I have worked. The formal role structure have been instrumental in my team’s success, while the informal one-to-one ambassador network has helped me on an individual level to learn, develop and grow. Tech Skills Research and Development Officer Aoife Sheehy recently participated in the Global Apprenticeship Network Conference at JP Morgan in Canary Wharf London to engage with global influencers discussing the value of apprenticeships as strategic investments as a means to overcoming the skills gap. Organised by the Global Apprenticeship Network (GAN) and hosted by J.P Morgan, the event brought together a panel of experts to discuss how best to integrate SMEs in the wider apprenticeship ecosystem. In the introductory remarks, Viswas Raghavan, the head of banking for JPMorgan in Europe, the Middle East and Africa, emphasised the quality of the people we can harness via the apprenticeship route and that the current skills gap can be catered for by recruiting this way. Thomas D. Meyer, CEO of Accenture Switzerland, a leading expert in Business Transformation through Technology, spoke on the importance of lifelong learning in enabling people to continue engaging in the workplace, for which the apprenticeship model plays a massive role. So what does this mean for SMEs? Chris Dunning, Founder and CEO of TechQuarters, spoke of his experience in hiring apprentices to build a talent pool in a cost-effective manner. With 25 % of staff having come through the apprenticeship route, it has been a true success story of nurturing bespoke talent. Although the event was mostly tailored to the UK market, there was a lot to learn for the Irish context, from the role of the apprenticeship levy to the introduction of female bursaries. For smaller companies who feel they are competing with larger corporations, it was advised to focus on the role and that we often over-emphasise the attractiveness of a brand. We must emphasise what will be learned and the variety of tasks. But perhaps, most importantly, the opportunities for progression. Lilley Deevy, a former apprentice and member of the Young Apprenticeship Ambassador Network, said we need to listen to the target audience more, stressing that young people are not all about ‘bean bags and free food’ and are enthusiastic about their learning journeys. With such great insight and confirmation of the apprenticeship model as a remedy for the growing skills gap, how do we boost both employer and candidate take up? Panellists expressed the need for greater output of good quality career guidance in raising awareness of the range of apprenticeships available. Apprenticeships need to be seen for the value they bring and that they are not an alternative to third level, but a counter-offer for those who thrive in a practical learning environment. We need to pride role models who have been through the system and share the good news stories. Alex Fleming, CEO of the Adecco Group, stressed that apprenticeships provide the opportunity to give people a different route of entry, something which is crucial in addressing the skills gap. With this in mind, there was a clear take-way message from the day; we need to change the mind-set around apprenticeships, we need them to be valued, we need them to be ‘cool’. FIT are the National Coordinators of Ireland’s New Tech Apprenticeships in Software Development and Network Engineering. For more information check out our website or follow us @FastrackintoIT on Twitter, LinkedIn and Facebook. For more information on the work of the GAN, their website can be found here. Welcome to Ireland’s First Tech Apprentices! Wishing every success to our first intake of tech apprentices in Software Development and Network Engineering who began their learning journey at Tallaght and Baldoyle Training Centres on Monday August 27th 2018. FIT are proud sponsors of this year’s School Summit which offers students the opportunity to engage and discover the many career opportunities available to them for their future. Come along and check out the key speakers on the day! Where? National Show Centre, Swords, Dublin. For more details on the event, check out the official School Summit website for more. Since the launch of Ireland’s new ICT tech apprenticeship, industry support has been outstanding. As the digital transformation captures the attention of companies nationwide, we are excited to share industry involvement and support in reaching top-tech talent via the apprenticeship route. Currently there are two individual Tech Apprenticeship programmes aimed at attracting candidates with an interest in software development or network engineering. Both programmes have significant on-the-job elements and were developed with the needs of industry in mind. As the value of the practical application of skills, knowledge and competencies are paramount many great companies are engaging with apprenticeships to fill their skills gaps. If you are interested in Tech Apprenticeships – either joining or accessing this talent pool check our website www.fit.ie or email techapprenticeship@fit.ie for all the details. Are you unemployed? Want to Improve your employability Skills? Interested in returning to education? course starting in September 2018. Meet with the tutors and the course coordinator who will assist you in making the transition from unemployment to employment. With just under 19% of Ireland’s tech sector being female, the Women in IT Awards programme has come to the region for the first time to highlight the women in technology paving the way. Encouragingly Irish women in IT are the second-best paid in the world, however they still lag massively behind their male counterparts by almost a fifth when it comes to pay. Since its launch in 2015 the Women in IT Awards have showcased women in technology in London and New York, with new launches in Asia, Ireland and San Francisco planned. Organised by business-technology site Information Age, the Women in IT Awards Ireland acts as a flagship and high-profile platform to support the industry in its mission to move the dial on gender. We strongly encourage you to nominate your female champions to help lead the way in achieving greater diversity in Ireland’s tech sector. To see a full list of categories see here and get those nominations in! Aoife Sheehy, Tech Research and Development Officer at Fastrack to Information Technology (FIT), our latest group member, speaks to us about Ireland’s new and exciting Tech Apprenticeship. Aoife’s role @FIT is to research the skills demands of Ireland’s tech sector and to collaborate with stakeholders on how this thriving sector can provide opportunities for all. With the prediction of almost 12,000 vacancies in the ICT sector the opportunities are boundless. Ireland’s leading companies are all embracing ICT for better ways to do business which has resulted in the creation of new roles that demand tech skills. The apprenticeships are for anyone aged 18 and upwards who seek an exciting pathway to a sustainable career in an industry that is renowned for flexibility, stability and creativity. FIT are the National Coordinators of Ireland’s New Tech Apprenticeships which offers both on and off the job learning over two years in some of the country’s top tech companies. If you, or anyone you know, has ever considered a career in tech then this could be the perfect fit! For more information see here. So Aoife, tell me why is an apprenticeship a good idea for those wishing to enter the tech sector? Apprenticeships are a fantastic opportunity for people to get practical experience from industry insiders and to develop both soft and hard skills in tandem. Not only do they cater to different learning styles, they also offer the chance to get a foot in the door with some of Ireland’s leading tech companies. On top of this they are well-paid and offer economic independence from the get-go! You will also obtain an internationally recognised technology qualification with a NFQ Level 6 Advanced Certificate on completion. The programme offers two distinct career paths; Systems and Networks and Software Development. Tell me about why Gender Equality is central to your role at FIT? Since taking on the role in FIT I have been fortunate enough to come across many females in tech companies that are leading change for the better but we need more! We truly believe that norms and attitude need to change surrounding females in Tech and are here to offer our full support for those wishing to enter the sector via the apprenticeship route. Our goal is to ensure gender balance and diversity are top priorities in the recruitment and retention of apprentices and have seen first-hand that an inclusive workplace has better outcomes for all. Reaching targets is not good enough and at the heart of our remit is placement and progression which we hope leads to full-time employment. Throughout the entire duration we are there to guide, mentor and support the apprentice to ensure that the learning experience is of high quality. In a few steps, how do I become a Tech Apprentice? Step 2: Attend a schedule information and apptitude seesion. What do you find most challenging about achieving gender equality in the recruitment of apprentices? To be frank, there is still a misconception that tech roles are more suited to men. This is certainly not the case! In fact, more and more women are quickly realising that the tech sector offers greater progression opportunities along with attractive perks and flexibility. 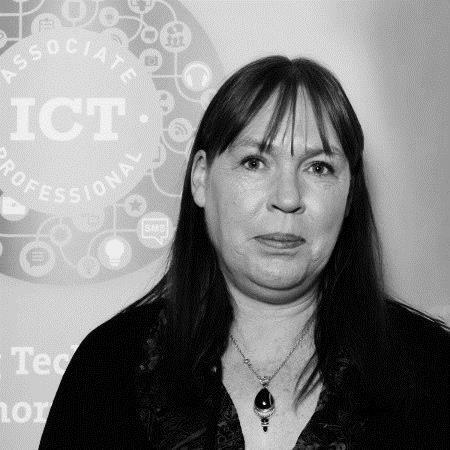 It is with this in mind that I wish to share the stories of ICTAP participants Hayley Corrway, Laura Loughnane, and Elizabeth Brocklebank to showcase their experience in a bid to inspire confidence in those wishing to pursue a career in ICT. Big thank you to all for sharing your experiences! Hayley was an early school leaver whose return to education was her participation in ICTAP programme. While she had no technical background, her excellent communication, determination and aptitude for IT helped her to stand out. 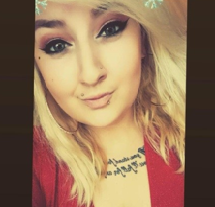 Since then her combination of commitment, great attitude and excellent results, Hayley beat off stiff competition in securing her place working as an IT Support Technician with Coca-Cola in Drogheda, Co. Louth. 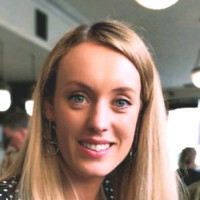 Laura Loughnane: Software Engineer in Training at SAP – FIT Associate Professional Software Development Student in GRETB Training Centre, Galway. Laura came into the programme with no background in Software Development but with a passion for I.T. Through her hard work and determination Laura now works as a Cloud Support Technician with SAP Galway with many opportunities to learn and grow in the role. Elizabeth Brocklebank: IT Support Technician at Generali Link FIT Associate Professional Systems and Networks Programme in RSTC Regional Skills & Training Centre Dundalk. 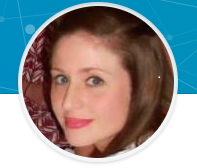 Elizabeth came into the programme with no previous experience in Systems & Networks but with a passion and aptitude for IT, through her amazing attitude, commitment and hard work Elizabeth now works as an IT Support Technician with General Link, Global Specialists in Financial Solutions, Navan. FIT ICT Skills Audit for 2018 finds 12,000 current vacancies in the sector, offering quality job opportunities of diverse sorts to young and old alike. The 2018 Audit finds demand is strong across a wide range of tech disciplines with 12,000 current vacancies in the sector as a whole, offering quality job opportunities at entry, competent as well as expert levels, and for young and old alike. Tech companies are keen that more people, and especially more women, should be aware a variety of careers can be pursued in the sector, many of which do not require a third level qualification to start but rather a blend of technical know, passion for IT and good people skills. Many of the in-demand skillsets for the tech roles on offer can be acquired through further education and training vocational programmes delivered by Ireland’s 16 Education and Trainings Boards (ETBs). This latest Audit, which took place in in the period July 2017– January 2018, shows the major job growth in the sector is being driven by just by the expansion of existing IT companies but by the wider adoption of new IT technologies as more companies seek to use them to climb the value chain. Currently, over 130,000 people are now employed in tech related sectors of the economy. More tech companies in Ireland, both foreign and indigenous, are embracing key drivers of change such as Internet of Things (IoT), Artificial Intelligence (AI), cloud-based technologies, etc. These technologies have potential in all industrial sectors to enhance productivity and performance. There is strong demand for ICT practitioners across all disciplines and at different skills levels – 58% of immediate vacancies are for employees able to exercise skills at the competent and entry levels and 42% are at the expert level. The demand is on the part of SME’s as well as of large corporations. ICT jobs have grown in locations right across the country, both rural and urban. Many of the vacancies require people who are tech savvy and have transferable skills and competencies in areas such as project management, entrepreneurship, marketing and customer service. Tech sector companies also have many ancillary roles in areas such as logistics, administration, sales and marketing etc. The prospect of skills shortages constraining companies’ business plans is growing. This is increasing employer support for the roll-out of the new Tech Apprenticeship and their desire to attract more women into the sector. Tech related roles do not exist just in tech sectors but have emerged in practically every sector of the economy as new and emerging ICT technologies are able to impact the productivity, efficiency and effectiveness of everything from agriculture to medicine. Communications and problem-solving were voted first and second most important attributes with regard to transferable skills and professional development. Paul Sweetman, Director Technology Ireland and FIT Board Member said, “since 2011, a staggering 34,500 jobs have been announced by technology companies in Ireland – large and small, indigenous and multinational. The FIT Audit points to an array of skills needed over the coming years. The Audit also supports the emergence of alternative routes into the sector. The ICT Associate Professional Programme Tech Apprenticeship is now seeing real traction and is a solid example of what modern apprenticeships can achieve. Graduates will display robust technical skills coupled with entrepreneurship and business savvy, acquired through direct and sustained work experience. It is an exciting compliment to the current availability of strong courses at third level. FIT is an industry-led initiative which works in close collaboration with government departments and national education and training agencies, local development organisations and a host of community based organisations. Its primary partners in education and training include SOLAS, ETBs, ETBI, Technology Ireland, Intreo, Third Level Institutions, Regionals Skills For and local development / community organisations. FIT’s mission is to promote an inclusive Smart Economy by creating a fast track to marketable technical skills for those with the aptitude and ambition to commence a career in ICT. FIT is a registered charity and not-for-profit organisation. The Initiative develops and promotes technology-based programmes and career development opportunities for job-seekers wishing to progress in an increasingly knowledge-based economy. FIT commenced in 1999, operates nationally. Would you like your IT skills and qualifications recognised with an Open Badge? Open Badges recognise formal and informal education and experience, and its’ completely FREE! We are starting a trial in June 2018. Underpinning the phenomenal rate of advancement in Technology is a vibrant and innovative manufacturing sector which is a major employer of Maintenance Technicians. With this in mind. and with the support of Intel, FIT designed a new programme in industrial equipment support positioned at Level 6 on the National Framework of Qualifications. FIT Ltd. (Fast Track into Information Technology Limited) with the support of Accenture, SOLAS, Education and Training Boards and the Apprenticeship Council is pleased to announce two forthcoming new ICT apprenticeships, the first of their kind in Ireland. International experience indicates that ICT apprenticeships help technology businesses build a skilled and motivated workforce in a timely and cost effective manner. Employers of all sizes gain access to adept tech enthusiasts who attain bespoke skills that enable them to be highly productive and to ‘hit the ground running’ in a relatively short period. Open to people of Leaving Cert standard or equivalent, the tech apprenticeships embrace a ‘learning by doing’ format of ICT skills development, which has been championed by industry and is now incorporated as an integrated component of statutory provision. The two-year paid programmes, based on a dual-education model, integrate college-based learning with on-the-job application in companies such as Accenture, and culminates in the attainment of the ICT Associate Professional Apprenticeship Award. All training costs of the apprentices will be covered by the State through the National Training Fund. FIT manages all aspects of the programme and coordinates employer input. Peter Davitt, CEO of FIT said at the announcement today “Research that FIT is currently concluding into skills needs indicate current vacancies in the tech sector to be in the thousands and growing. We believe 75% of these roles can be addressed in a timely manner through the new Tech Apprenticeships to the benefit of indigenous companies as well as the multi-nationals located in Ireland and most importantly to the benefit of those wishing to pursue a fulfilling career in the sector”. Davitt praised the vision of the Apprenticeship Council for supporting the development of new apprenticeships and acknowledged the key role of the Education and Training Boards throughout the country in the delivery of the training elements of the programme. Calling All Tech Enthusiasts? The Tech Sector Wants YOU! People with tech skills are in demand – not just in the IT sector – more and more jobs across industry require various levels of proficiency in IT. This is a trend which is anticipated to grow as increasingly companies utilise technologies to manage their activities, market their products, communicate with their customers and increase productivity. Emerging Internet of Things (IoT) technologies are creating daily, new industrial sectors, way beyond the prospects of driverless cars, delivery by drones etc., resulting in the creation of new roles, skill sets and career paths across all sectors of the economy, which are expected to grow exponentially in the coming years. ICT Associate Professional – A Tech Skills Remedy! Skills demand in technology companies is now a global issue. With the phenomenal growth in the sector, all jurisdictions are competing for tech talent. Barry Lowry, Government Chief Information Officer said at the announcement “I am delighted to support the announcement of these apprenticeship programmes. The gap between the industry demand for digital and ICT talent and the supply of people qualifying with relevant skills continues to grow. These apprenticeships are an exciting and innovative response. They not only create a new source of skills supply to both public and private sector, they bring opportunities for people to enter or re-train into one of the most exciting and well-rewarded career paths available”. The first six months of the programme is intensive college-based learning where apprentices are equipped with the necessary technical acumen. The remaining 18 months are a combination of on-the-job experience with participating countries, supplemented with college-based instruction. Participating companies pay candidates throughout the apprenticeship and facilitate the on-the-job learning, thereby enabling apprentices to generate added value through honing their knowledge, skills and competencies in real-time while contributing to product development, technological advancement and talent development. On successful completion of the programme, qualified tech apprentices will typically progress into full-time positions within their sponsoring companies thereby enhancing the talent portfolio while increasing productivity and competitiveness in those enterprises. Programmes will commence in the first quarter of 2018. #YouthEmpowered is a programme created by Coca-Cola HBC to empower young people through specialised training. The programme will be delivered in partnership with Fastrack to IT (FIT). The curriculum is designed to help remove the barriers that exist for young people between the ages of 18 and 30 who have left the formal education system but who have been unable to secure or retain employment. Contact FIT at info@fit.ie for further information. FIT – IBM Cyber Security & Digital Forensics Course Recruiting Now! There are places available for our new FIT & IBM Cyber Security & Digital Forensics. Click above to view more information and to apply now! FIT recognised for its insightful use of data analytics by IBM. FIT have been mentioned in the current IBM report ‘Leap before you lag’ which focuses on analytics and cognitive computing, outlining the benefits and uses of data analytics for non-profits. By sharing this report we hope other charities and non-profits will benefit too. Check out the full report below. On 26th April 2017 eSkills Malta Foundation launched the Malta ICT Skills Audit 2017 which was carried out with the expert assistance and collaboration of FIT. The report articulates in some detail the skills required by the ICT Industry and type of provision necessary to respond to the employment opportunities arising, Malta’s Minister for Competitiveness and Digital, Maritime and Services, Dr E Mallia, and the Minister for Education and Employment, Minister Evarist Bartolo, both endorsed the report at the launch event..
Minister Mallia highlighted the fact that, as outlined, the required skills of the industry must be regularly monitored and whether these skills are being met nationally. He added “that matching the skills gap is not easy but this study should help in identifying specific ICT industry skills and competences required by the country. The ICT Skills Audit gives some important recommendations, and that it is highly suggested that these are given their due importance. The success of this plan should be monitored as we progress so that it is adjusted to the Malta’s needs.” Minister Bartolo said that Education and Training must work together with the industry to find ways to bridge the gap as much as possible. “This could be by way of change in curriculums, and change in the way individuals proceeds during their studies, for example by using an apprenticeship scheme or industry placement.” As highlighted, importance must be given to the soft skills and professional development that are not only complimentary but essential for persons working in the ICT. The Department of Communications, Climate Action and Environment’s ‘Getting Citizens Online‘ Programme is, in line with the National Digital Strategy, focused on encouraging and empowering citizens to participate fully in Ireland’s digital economy and society. Dublin ICTAP Information and Aptitude Testing Sessions! Places Available Now! We are currently recruiting for the next phase of ICT Associate Professional in Dublin. If you are interested you can book a place for our next available Information and Testing session Wednesday December 14th 10am Please call 01 882 5570 to book your place now! GET ONLINE WEEK 2017 runs from 27 March – 2 April this year. If you want to participate or get involved just check out our GET ONLINE WEEK page click the logo. or to fill in the participant survey, click the survey button below. For those interested in a career in the ICT sector, JP Morgan recently announced a new partnership which aims to widen access and support diversity through the tech industry’s fledgling earn-and-learn programme, the FIT ICT Associate Professional. FIT is an industry-led initiative which works in close collaboration with government departments and national education and training agencies, local development organisations and a host of community based organisations. Its primary partners in education and training include Solas, ETBs (formerly VECs), ETBI, ICT Ireland, Intreo, Third Level Institutions, Léargas, as well as leader and partnership companies. FIT is piloting the ICT Associate Professional initiative with a total of 220 places available nationwide. It is a two-year programme and carries an award at Level 6. FIT is currently recruiting for upcoming programmes in Kildare/Wicklow, Waterford/Wexford, Dublin and Louth. FIT aims to attract young people from diverse backgrounds to consider embarking on fulfilling careers in ICT which has an ever-growing need for fresh talent. Participants will combine college-based learning with work-based training. They will gain a qualification that will position them well for a career in a technology role across any sector. The FIT ICT Associate Professional programme – a new talent stream from Fast Track To IT on Vimeo. New partnership between FIT and J.P. Morgan widens access and diversity in Software Developer and Network Engineering roles. New route into Technology Careers gives employers a new talent pipeline of smart people who choose to ‘earn and learn’. Dublin, July 5th, FIT and J.P. Morgan today announces a new partnership which aims to widen access and support diversity through the tech industry’s fledgling ‘earn and learn’ programme, the FIT ICT Associate Professional. Through the support of the JPMorgan Chase Foundation, FIT aims to attract women and men from diverse backgrounds to consider embarking on fulfilling careers in ICT which has an ever growing need for fresh talent. The FIT ICT Associate Professional programme is aimed at those who have an interest in and a passion for technology. This is an exciting prospect for young women and men to embark on careers in Software Development and Network Engineering. The dual education nature of the courses – combining college-based learning with work-based training – broadens the choices available to people, particularly those who favour learning by doing. They will gain a qualification that will position them well for a career in a technology role across any sector. Tech skills are increasingly in-demand as all sectors rely more and more on ICT technologies to carry out their businesses whether they are multi-nationals, SME’s or public sector bodies. An issue causing growing concern for employers in Europe and the US is how to attract and develop the tech talent they need. Ireland faces the same dilemma and new job openings are set to top 10,000 additional jobs per annum in the coming years. It is then perhaps, no surprise that the tech sector and other sectors needing ICT skills, are embracing the new ICT Associate Professional initiative with over 100 employers already engaged as sponsors of the 150 participants who have joined the programme to date. FIT and J.P. Morgan believe that the ICT Associate Professional and similar dual education initiatives can provide a pathway into tech sector jobs which can widen access, encourage diversity and enable the participation of new streams of talented people. The partnership aims to improve awareness and interest in tech careers amongst unemployed jobseekers and to students in second-level schools, especially DEIS schools, and to encourage them to consider such ‘learn and earn’ programmes. In tandem FIT will provide access supports to applicants, such as guidance, assessment and interview skills and ongoing mentoring throughout the programme. The JPMorgan Chase Foundation’s commitment to promote workforce readiness triggered its support for the FIT ICT Associate Professional programme. The Foundation backs a series of training programs that help individuals acquire the knowledge, skills and expertise necessary to obtain good-paying jobs, compete in the global economy and find new pathways to economic opportunity. FIT is an industry-led initiative which works in close collaboration with government departments and national education and training agencies, local development organisations and a host of community based organisations. Its primary partners in education and training include SOLAS, ETBs (formerly VECs), ETBI, ICT Ireland, Intreo, Third Level Institutions, Léargas, Leader / Partnership Companies and LESNs. FIT is piloting the ICT Associate Professional initiative with a total of 220 places available nationwide. It is a two year programme and carries an award at Level 6. FIT is currently recruiting for upcoming programmes in Dublin, Louth, Kildare/Wicklow and Waterford/Wexford. The FIT Board has set a goal of expanding the number of places to 2,000 by 2020. If you have an interest in attending a course please come along to our opening morning to discuss with our FIT recruitment team for further information on courses available and any additional information. Attend the Nuremore Hotel,Carrickmacross,Monaghan May 9th, 7.00pm to our Youth2Work Expo and be in with a chance to win a XBox one console on the night. Launch of the Youth2Work Expo! Monday last saw the launch of the first in a series of five Youth2Work expos in Cavan and Monaghan designed to highlight the range of courses on offer to equip young people in the region with the skills in demand by businesses and organisations in the area. This highly innovative and dynamic initiative brings together Microsoft, FIT, the GAA, Cavan Monaghan Education Training Board in both Counties to ensure the growing number of roles and opportunities requiring IT skills are accessible to young people locally through appropriate training opportunities, career advice and placement supports. The ultimate goal of Youth2Work is to enable young people get a job – ideally within their locality with a local business. A key message of the event was that job growth is now not confined to larger urban centres evidenced by the fact that there are currently over 500 advertised job vacancies within a 25-mile radius of Cavan town. These fun and informative events offer young people hands-on-support to secure employment locally. Commenting on the initiative Cathríona Hallahan, Managing Director, Microsoft Ireland said: “To date Microsoft has invested over €3 million to help tackle youth unemployment. This year we are broadening the programme, working with the GAA, to provide direct support to young athletes in clubs in Cavan and Monaghan. Too many young people end up leaving their locally community – and GAA Club – in order to get work. The reality is that IT skills are in demand in all parts of the country – and in many cases – IT jobs can be done remotely. Working with FIT, GAA, and the Cavan Monaghan Education and Training Board we are developing courses which will give young people the skills that will help enhance their employability – increasing their chances of getting rewarding careers close to home. Our new ICT Associate Professional programme. What is ICT Associate Professional? FIT has been charged by government and the tech sector with the implementation of ICT Associate Professional (ICT AP) – a new dual education format, designed to provide the ICT industry with candidates with in-demand technology skills in a timely fashion. International experience indicates that hiring ICT apprentices can help businesses build a skilled and motivated workforce in a cost effective manner. Equally important, employers of all sizes can get access to highly motivated tech enthusiasts who attain bespoke skills which enable them to be highly productive and to “hit the ground running” in a relatively short period of time. Skills demand in technology companies is a global issue. With the phenomenal growth in the sector, all jurisdictions are competing for tech talent. Ireland has turned this global demand for skills into a competitive advantage. The recently published FIT ICT Skills Audit 2014 identified in excess of 7000 current vacancies in the tech sector in Ireland, of which 75% are at competent and entry levels and which can be satisfied by training programmes at levels 5/6 on the National Framework of Qualifications. The tech companies who participated in the survey ranged from major multi-nationals to indigenous SMEs representing in excess of 30% of those employed in the sector. All of the companies who participated stressed the importance of ready access to a tech talent pipeline to grow their business and productivity as the economy grows. 84% of those surveyed welcome the introduction of FIT ICT Associate Professional as a complementary stream for growing tech talent required by industry. FIT ICT Associate Professional is “learning by doing” format of ICT skills development which has been endorsed by the industry and government. This model of provision is a two year programme during which candidates who are competent tech enthusiasts attain a Level 6 ICT and Professional Development Award and are bestowed the title of FIT ICT Associate Professional by the industry on effectively demonstrating the application of skills in the working environment. The first six months are college based where candidates will acquire the technical acumen. The remaining 18 months are a combination of workplace application and college based earning where candidates will further their training and apply their skills and learning to live projects and tasks within their sponsoring company. An ICT Associate Professional works for you while learning the skills they need to become a valuable team member. They attain high level tech skills in disciplines specific to your requirements and in a manner that ensures standards of excellence that contribute to performance and productivity to meet your business needs. The overarching pillars of ICT AP are Software Development and Systems & Networks. Companies such as Accenture, AOL, AQMetrics, Cork Internet Exchange, Fujitsu, IBM, Microsoft, SAP, Stanley Security and Version 1, to name a few, have already embraced the initiative, viewing it as a practical pathway to acquiring in–demand tech skills. This is a great opportunity to tap into a valuable ICT Talent Pipeline which will enable you to achieve a motivated, skilled and committed workforce in a timely and cost efficient manner. The ICTAP programme is being rolled out in Dublin, Cork, Galway, Athlone and Monaghan and we are actively engaging with employers to participate on the programme. To find out more about getting involved or to arrange a meeting with a member of the FIT team, please contact ICTAP on ictap@fit.ie or by phone on 01 8825570. Don’t have your Leaving Certificate? Aged between 16 and 20 years? Interested in gaining skills that can get you working in Retail, Hospitality or General Office roles? We are currently recruiting for an Office Skills for Hospitality & Retail Fetac Level 4 course starting in Limerick City at the end of January. Fill in the form below to register your Interest for the Course. The course Start Date is the 28th February 2016. FIT ETB Logistics & Distribution course starting soon in Galway, Apply now! Read below for more information on the course. The aim of this programme is to enable the learner to acquire the knowledge, skill and competence to work independently and under supervision, managing inventory, ordering and receiving goods and supporting a freight forwarding service in a range of logistics and distribution environments and contexts. On successful completion of the programme, learners may progress into higher education and training or to employment. Course is due to start mid January 2016 in Ringsend College running until the end of June 2016. Students who successfully complete this course may progress to year 2 (QQI Level 6) which begins in September 2016. for more information click here. Register your Interest for the Courses Below! The final allocation of places will be at the discretion of College who will be contacting successful applicants to confirm allocation of places The FIT initiative is for unemployed people to access training and pursue employment opportunities requiring skills in Information Technology (IT). To join a FIT course you do not need any formal education or previous experience. Applicants must be over 18 and in receipt of a social welfare payment for 156 Consecutive days. Ever consider an exciting career in Advanced Manufacturing and to work for companies like Intel, HP, Wyeth’s or other leading manufacturing companies. FIT is now recruiting for a Manufacturing Technician Skills course leading to quality careers in industry. This programme is designed to position female and male candidates to pursue a challenging and rewarding career in the exciting role of manufacturing process support in a wide variety of settings. We are keen to encourage women to consider this opportunity promoting diversity in the workforce. Check out the course details below or you can contact us via email at info@fit.ie or phone 01 8825570. Youth2Work is an initiative created by Microsoft and FIT to inform and equip 10,000 young people with technology skills which are in demand by employers all across Ireland. With an investment of €3m from Microsoft, the programme is ahead of its targets with 7,800 young people either trained, in further education, employment or in training right now after the first two years. Moving into year three, Microsoft and FIT have an ambition to grow the programme and reach even more than the planned 10,000 young participants. With this in mind, the GAA has come on board as a partner with Microsoft and FIT to help introduce Youth2Work to local communities in Cavan and Monaghan. FIT are currently recruiting for courses starting in September 2015. Click here to view more information. What is the The IT Skills Gap? The IT skills gap is the shortfall between how many IT roles are and will be available in Europe over the next number of years and the amount of people skilled in IT to perform those roles. This dedicated day will celebrate the role and contribution that IT Professionals play in helping business and society. Speaking at the launch will be Principal Administrator at the European Commission in Brussels within the Directorate General for Internal Market, Industry, Entrepreneurship and SMEs (Key Enabling Technologies and Digital Economy Unit) André Richier, as well as industry speakers. There will also be a short awards ceremony of Honorary Fellowships for The Irish Computer Society. European Get Online Week (GOLW) is an annual digital empowerment campaign that engages and empowers people to use technology and the Internet with confidence and skills that allow them to benefit from a world of online opportunities. FIT is leading a consortium of partners from across Europe, engaged in piloting the FIT “training for Employment” model in five European countries including Greece, Latvia, Lithuania, Portugal and Spain. The “training for employment” model pioneered by FIT is unique in its approach to employer engagement in the process and provision of softskills and support to students before, during and after the training. FIT has trained 15,500 job seekers and placed over 12,000 in employment since 1999. The FIT4JOBS project honours the FIT Pledge to the Grand Coalition for Digital Jobs to commence the propagation of the FIT “Training for Employment” (TFE) model across Europe. Each country partner will plan, execute and provide analysis of this unique fit4jobs pilot which provides a complete and tested series of activities which results in an ICT up-skilled job seeker entering the workplace. The process includes the following main steps: identification and selection of suitable candidates for training, partnership with local employers to specify the curricula, provision of ICT training by 3rd party or public services, provision of softskills training and support, job placement, and overall project analysis. Job placement is secured through a strong relationship between employers and local partner before during and after training. A unique and vital aspect of this process is the strong support from employers to specify skills requirements, conduct CV reviews, mock interviews, work experience and finally job placement. A second key element is the softskills and supports offered to the job seekers before, during and after ICT training. Softskills include a range of subjects designed to increase employability levels of the student, such as CV preparation, mock interviews and work etiquette. This TFE model has been the basis of FIT training over the past 15 years and has demonstrated a 75% progression result. It is believed that, not only can this outcome can be achieved in other jurisdictions, but the collective learning from the pilots will greatly enrich the FIT model in the future and render it suitable for much wider dissemination and inclusion in EC and national governments policy. The FIT4JOBS project started November 2014 and will run for 18 months during which the partners will engage with local employers, arrange and supervise the ICT training, provide softskills training & support and support job seekers in obtaining job placements. Data will be collected during multiple stages of the project and the results of the project will be disseminated widely by Telecentre Europe. The FIT4JOBS pilot is intended to demonstrate the unique value of the FIT training model and in particular the focus on employer engagement. The pilot across five other European countries will not only prove the model is transferable to other jurisdictions but also enrich the overall model for further propagation across all European states and beyond. There is the potential to place 100,000 job seekers in jobs by 2020 through this process. It is strongly anticipated that the learning from this project will be viewed positively by national governments and the European Commission and considered favourably in future related strategies and policies. Greece: The Hellenic Professionals Informatics Society (HePIS) is a network of all ICT Professionals in Greece advocating their interests at both national and European level. Ireland: FIT Ltd (Fast Track to IT) is an industry-led initiative which works in close collaboration with the (Irish) government departments and national education and training agencies, local development organisations and a host of community based organisations, to provide IT training for employment to long term unemployed. Latvia: Latvian Information and Communication Technology Association (LIKTA), the leading ICT professional non-governmental association promoting the development of Information Society and e-skills in Latvia. Portugal: Programa Escolhas, a nationwide program, created in 2001 and operating under the High Commission for Migration, aiming to promote social inclusion of children and young people from vulnerable socio-economic backgrounds. Telecentre Europe is a member-based association representing networks and NGO’s in the field of digital skills, social inclusion and ICT adult education providers. We represent telecentres, telecentre networks and any European organisation that provides access to and training in digital skills. This publication is supported by the European Union Programme for Employment and Social Solidarity – PROGRESS (2007-2013). This programme is implemented by the European Commission. It was established to financially support the implementation of the objectives of the European Union in the employment, social affairs and equal opportunities area, and thereby contribute to the achievement of the Europe 2020 Strategy goals in these fields. The seven-year Programme targets all stakeholders who can help shape the development of appropriate and effective employment and social legislation and policies, across the EU-27, EFTA-EEA and EU candidate and pre-candidate countries. The information contained in this publication does not necessarily reflect the position or opinion of the European Commission. FIT will be one of the many companies in attendance at the Career Zoo event in the Convention Centre Dublin on Saturday, the 21st of February. we will be located at stand number 89. There will be information provided on our current momentum courses (Social Media for Business, Systems & Networks and Web Development) and our new ICT Associate Professional “Apprenticeship Style” earn as you learn programme. You will be able to apply for both of these programmes with us at the stand. Congratulations to the winners below of the FIT Student Progression Survey Competition 2014/2015 and a special thanks to MJ Flood for donating the First prize iPad Mini. A free tech careers fair for FIT ICTAP is being held at the RDS on the 9th of December at 10am. FIT ICT Associate Professional is an ‘apprenticeship type’ opportunity in the tech sector where candidates will be sponsored while they ‘earn and learn’ by leading tech companies such as Accenture, AQmetrics, CIX, Fujitsu, IBM, Microsoft, SAP, Version 1 etc. It is a two year Level 6 programme after which successful candidates will progress their careers within the ICT Sector. Fast-track to IT (FIT), along with further education and training authority Solas and the education and training boards, is to pilot a new ICT associate professional initiative whereby students will earn as they learn. The initiative, beginning in February, will launch new courses that combine college- based learning with work- based training. This will broaden the choices available to prospective employees, particularly those who favour learning by doing. The pilot programme will cater for 200 people over the coming year in Dublin, the midlands and Cork. Students will receive a salary as they work to secure a qualificationrecognised by the tech sector. A 2014 skills audit highlighted a strong demand in the IT industry for people with university degrees and doctorates, but also vacancies for people with IT skills at levels five and six on the National Framework of Qualifications. The audit found that more than 75 per cent of ICT skills currently needed by employers are at entry and competent levels, and are thus accessible to candidates who undertake technology training programmes ranging from six to 24 months at levels five and six on the National Framework of Qualifications. Peter Davitt, chief executive of Fit, said the new ICT initiative is intended to address the skills shortage that has led to thousands of job vacancies in ICT, while providing young people with a new route to careers in technology. Minister of State for Skills, Research and Innovation Damien English said there had been a radical overhaul of further education and training in recent years with the establishment of Solas and the education and training boards. “The Fit ICT associate professional [initiative] is a very tangible result from these changes and one which I believe will play a critical role in meeting the needs of both businesses and young people who are seeking rewarding work in our growing economy,” he said. ““The audit highlights that while there is strong demand in the IT industry for people with university degrees and doctorates, there are more vacancies for people with IT skills at Level 5/6 on the National Framework of Qualifications. It also demonstrates clearly that the Further Education and Training sector has a huge role to play in addressing the immediate gap and foreseeable skills need in Ireland”” – Peter Davit, CEO FIT Ltd. FIT ICT Skills Audit 2014 reveals the need for IT Professionals in all sectors continues to grow. Check out the complete audit report here. FIT are delighted to introduce our ICT Technologies Programme. This programme offers learners an opportunity to attain in-demand professional ICT skills and a valuable internationally recognised award which incorporates vendor certification. The main focus of the campaign will be to raise awareness of the education, training, jobs, and other opportunities that are available to people with e-Skills – those who know how to effectively use digital technologies. Bernard Dunne, a Dublin man, is a former WBA Super Bantamweight World Champion. Having pursued his boxing career for many years he transformed himself to now be a successful TV Broadcaster and Author. Last year Bernard became the Youth2Work Ambassador and undertook the challenge of doing the Youth2Work mobility course. Attending classed for eight weeks he re-skilled and has now gone from hardly knowing how to use his phone to now having his phone and surface linked, accessing documents while on the go and using the technology in his professional life with the Dublin football team and when he gives presentations. While he is unlikely to move into the IT industry on a full time basis Bernard values having IT skills as they can be applied across his broadcasting, writing and social media activities. In year two as the Youth2Work Ambassador Bernard is now going to be a key speaker at the planned Youth2Work Roadshow events around the country. Bernard will attend the events and speak to youth about his transformation story and hopefully inspire many to sign up to a Youth2Work course. To apply for a Youth2Work course and find out more details emailyouth2work@fit.ie or call or call FIT on 1800 815 715.